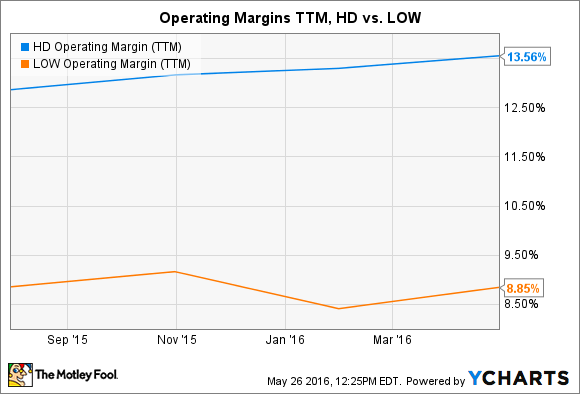 9 Billionaires Just Bet on Home Depot Inc Stock: Should You Join Them? Bullish billionaire investors may be signaling its time for everyone to spruce up their portfolios with the home improvement center's stock. Home Depot has been delivering the goods for professional investors, and it just may be worth it for small retail investors to follow them through the door. After three straight months of falling new-home sales, the housing sector perked up in April as sales jumped to their highest level since 2008. 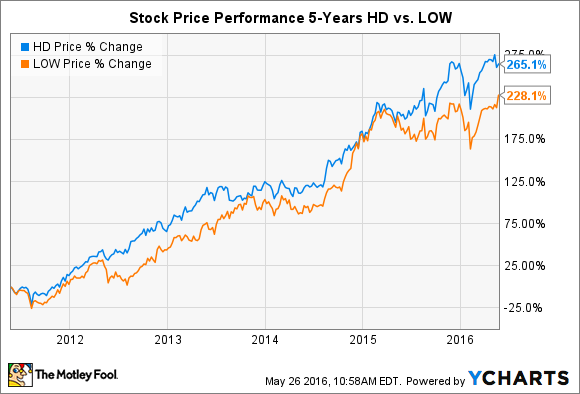 That bodes well for do-it-yourself home improvement center Home Depot (NYSE:HD), which has done surprisingly well in good markets and bad. The reason is simple, really: Even in a down market for housing, when fewer people can afford to buy (and improve) new homes, homeowners will still choose to spruce up their existing homes. And that could be the reason why nine billionaire-led hedge funds have chosen now as the time to build out their portfolios with Home Depot stock. The Motley Fool waded into dozens of recent 13-F filings, which these private equity funds are required to file with the SEC, and discovered that nine hammered down more than 2.6 million shares of Home Depot during the first three months of the year. Certainly you don't want to follow these billionaires blindly, as they're certain not always correct in their bets. But it does seem telling that rival Lowe's (NYSE:LOW) didn't enjoy the same sort of institutional support as Home Depot did, particularly since the stocks of the two companies have largely marched in lockstep over the past five years. So what accounts for the apparent enthusiasm for Home Depot? There may be a few reasons. Comps are an important retail metric because they strip out the sales growth that can be achieved simply by opening more stores, so they're viewed as a better organic indicator of a retailer's health and potential. Home Depot also enjoyed greater customer traffic than did Big Blue. In the first quarter, Home Depot notched almost 375 million customer transactions, a better than 4% year-over-year gain. We'll have to wait until Lowe's files its 10-Q to see just how many transactions it had by comparison -- it says they were up over 5% for the period, however -- but in all of 2015, it had 878 million transactions versus Home Depot's 1.5 billion transactions, or 473,000 transactions per store on average compared to some 660,000 transactions per store for Home Depot. Looked at another way, although Home Depot has 22% more stores than Lowe's, its stores were conducting 43% more business than its rival's. 3. It's more profitable, too. While the two chains have comparable gross margin rates of around 34%, when you look at operating margins and net margins, Home Depot is sprinting away from Lowe's. Big Orange's operating margin clocks in at 13.3% versus Big Blue at 8.4%, while its 7.9% net profit margin is nearly some 363 basis points higher than Lowe's. There seems to be good reason why those big billionaire investors are knocking on Home Depot's door, and with the housing market perhaps getting ready to turn up once more, DIY investors may just enjoy some improvement in their returns if they follow them into its stock.